Paris is a rich and vibrant city bursting with amazing things to see and do. As Europe’s romantic capital, many people visit this lovely city each year, but with lots of attractions to choose from, it can be hard to fit everything in, especially over a short period of time. 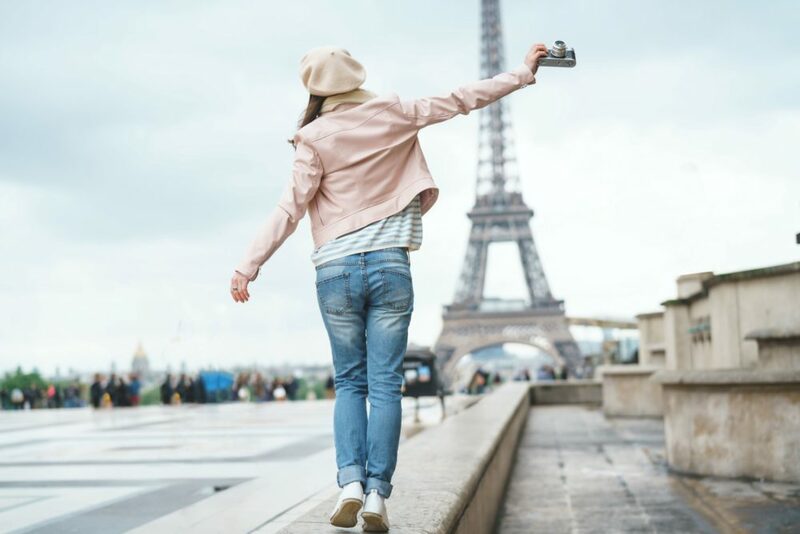 However, there is no need to fret as we are here to take you through all of the amazing sights that you definitely need to see when you are next visiting the gorgeous city of Paris. Carry on reading to find out more! Of course, no trip to Paris is complete without a trip to the Eiffel Tower! When you think of Paris, the Eiffel Tower is always the first thing that comes to mind and if you are visiting Paris, there is no way that you can miss the opportunity to go and see it. The Eiffel Tower is a whopping 325 metres high and was first constructed back in 1889 by Gustave Eiffel for the Paris World Exhibition. Up until 1930, it was the world’s tallest structure and it is the second most visited building in France. You can climb to the top of this building and this is especially beautiful to do at night as you can take in the stunning views over Paris and the Champ de Mars. What’s also cool about visiting the Eiffel Tower that you may not know is that there are also lots of restaurants located inside, meaning you can enjoy a delicious meal while taking in the spectacular views of Paris. However, you will need to make sure that you book this a few months in advance! The only building that is more visited in France is the Arc de Triomphe. This structure commemorates the victory of the Battle of Austerlitz in 1806 and was commissioned by Napoleon Bonaparte. Today, it is known for commemorating the soldiers of the First World War. The Arc de Triomphe is located on the Champs-Elysees and this is the perfect destination for those who love to do a bit of shopping as it has many fantastic brands to offer and this street is known for being one of the most beautiful avenues in the world. Everyone knows the story of the French Revolution in which the monarchy was toppled. Well, the Chateau de Versailles is the symbol of the French monarchy and was once the home of King Louis XIV. This palace was transformed into the beautiful marvel that it is today after Louis wanted to establish his dominance over the fellow nobles. When you visit here, which you can do every day except Monday, you will also be able to visit the Petit Trianon, the Grand Trianon, the Hameau and its wonderful gardens. Tickets to the palace of Versailles near Paris are available here and you can book tickets that allow you to skip the lines and also buy combo tickets for Versailles and other attractions such as the Eiffel Tower. Before the construction of the Eiffel Tower, the main attraction in Paris was the Notre Dame de Paris Cathedral which is located on the Ile de la Cite. This was the site of Napoleon Bonaparte’s coronation in 1804 and it also features heavily in books and film, so this is one that you will definitely have heard of before! Since 1973, the Palais du Louvre has been a museum, as before it was the Royal residence for over 300 years. There are thousands of items of artwork here and it contains much of France’s history. It is here that you can look at many iconic art pieces such as the Mona Lisa by Leonardo Da Vinci, the Raft of Medusa by Gericault and the Venus de Milo. After the war between Germany and France in 1870, the Sacre-Coeur basilica was dedicated to the Heart of the Christ, as it was to atone for the sins that the French committed during the war. This is the second most visited religious site with Notre Dam at the top. This beautiful building features white stones, a painting of Christ and a gorgeous view from the top of the building. The entry to this building is free, so it is a great one to visit, especially if you are on a budget when visiting the expensive city of Paris! As you can see, there are many fantastic things to see and do as a tourist in Paris. Visit this magnificent city today to take in the culture, food, attractions and everything else that It has to offer.